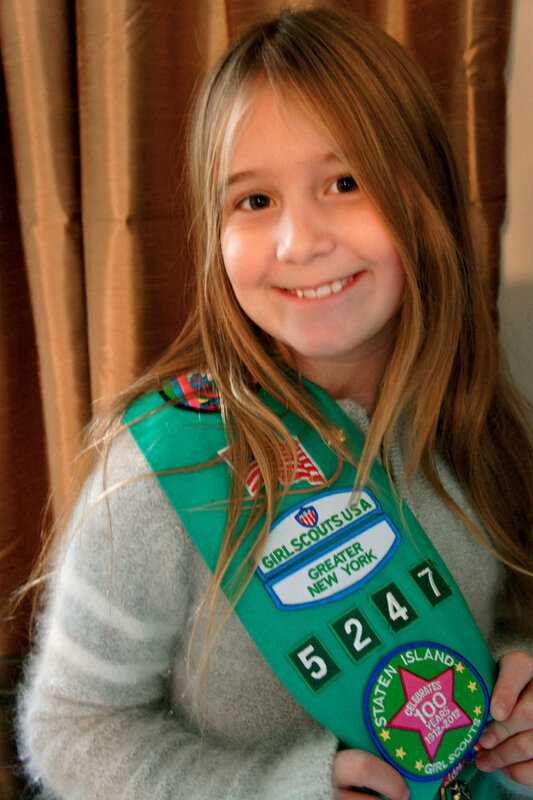 New York's Staten Island Live reports that Girl Scouting is about a lot more than selling sweets, even though the connection to cookies is not necessarily misleading: In a way, it symbolizes what Girl Scouts of the USA strives to instill in its members. Combining the traditional homespun skill of baking cookies with fund-raising and finance, the cookie sale exemplifies some of the fundamentals of self-reliance and resourcefulness, homemaking and can-do skills that Juliette Gordon Low sought to provide for girls when she founded the Girl Scouts 100 years ago. They attend movie days, plant trees, plan events such as She + Me, and Fit and Fabulous, a combination of nutrition and Zumba. They go camping; learn baby-sitting and CPR. They work to earn badges together and independently. Troops on Staten Island include girls of all ages and abilities, among them Troop 5312 at PS 37 in Great Kills, a school for students with significant developmental and physical disabilities. “You watch them explore new things — make breakfast on an open fire — and the look they get — ‘I did this! See that?’ or ‘I can do this and I can go further with it,’¤” said Betty Brandt, manager for Three Bridges 1, one of six service units, into which local troops are divided. Ms. Brandt, herself a Scout and a mother of Scouts, is a co-leader of troops — Juniors 5288, Cadets 5555 and Seniors/Ambassadors 5138 — that meet at Holy Trinity-St. Nicholas community hall in New Springville on Tuesdays.